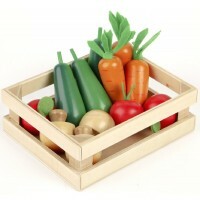 Our wooden salad bowl set will make a wonderful addition to our shop and kitchen play sets. 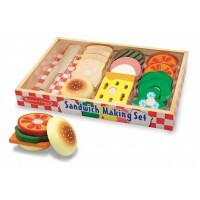 The set includes a chunky red wooden salad bowl, 2 wooden salad serving utensils painted silver and wooden salad items such as eggs, mushrooms and tomatoes on a bed of felt lettuce. Size: 16cm x 16cm x 13cm.